Hanuman is an endearing character for all of us. Much to the delight of the kids his avatar has been retold with the kid like Hanuman or the Hanuman who is kiddish overflowing with innocence. The story which we all know is vastly enhanced in presentation by the illustrations that are beautifully rendered by Taposhi Ghoshal. The illustrations add the charm to the character that is already a lovable one, I must confess this pictures actually make Hanuman an adorable cute little God. This book is a art manifestation of the story and the texts compliments the illustrations at times so well that you keep to the page. The kids also love the way the baby Hanuman starts flying into the sun to everything that’s been pictured so beautifully. You can read this to the kids and also attest the same with the pictures. For little grown up kids there is a test of what they have got to know of the story in the pages in between. 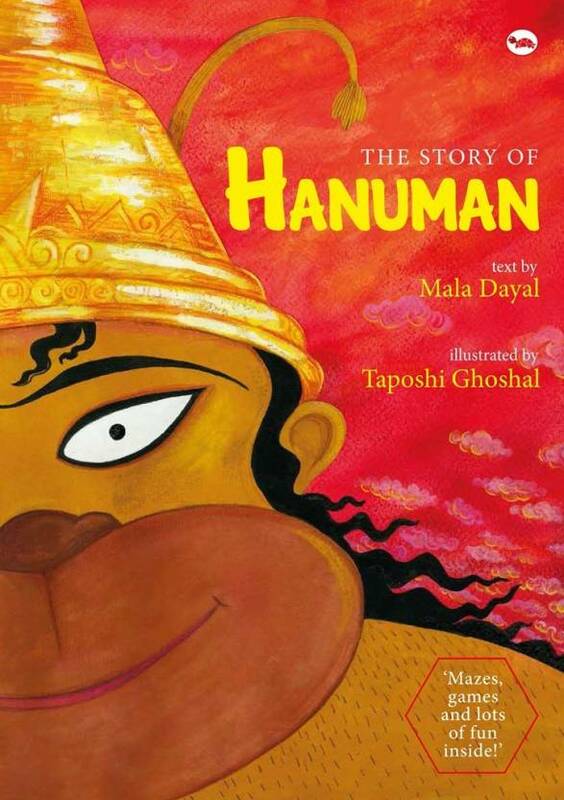 I know its tough to put the whole story into such a small session but the author has been successful in bringing out the Hanuman that we all cherish from the kid to the one who helps Lord Ram rescue Sita from Ravana’s Lanka. You will be happy having this copy and for sure this will be an entertaining retelling of one of the most loving stories ever heard for us. Being a parent now has made this book a must have / wonderful collection. You can pick a copy of the book here at Flipkart / Amazon. Am sure you will thank me for this reco.